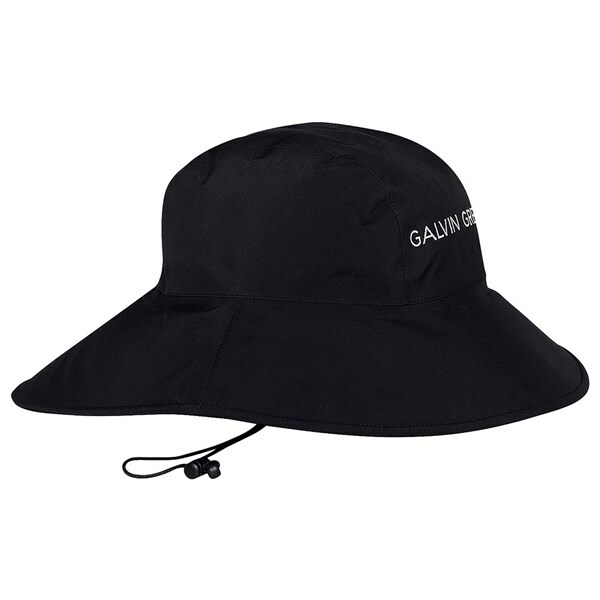 The Galvin Green Aqua GORE-TEX Golf Hat will help keep your head and face protected from the elements while outdoors in the rain. The wide brim design of this hat and its long back will help the rain roll off onto your jacket rather than down the back of your neck. Galvin Green have used their GORE-TEX Paclite technology to reduce the weight of the hat and provide you with 100% waterproof protection. Should the wind pick up while out on the golf course the Aqua golf hat features a storm strap that will allow you to customise the fit. GORE-TEX® Paclite® Technology features the lightest, most packable fabrics. Durably waterproof, windproof and extremely breathable. The GORE-TEX® membrane contains over 1.4 billion microscopic pores per square cm. These pores are 20,000-times smaller than a water droplet, but 700-times larger than a water vapour molecule, which makes the GORE-TEX® membrane completely water­proof from the outside, while allowing perspiration to escape from the inside.